Absolut has just launched a holiday campaign with a Bling theme. 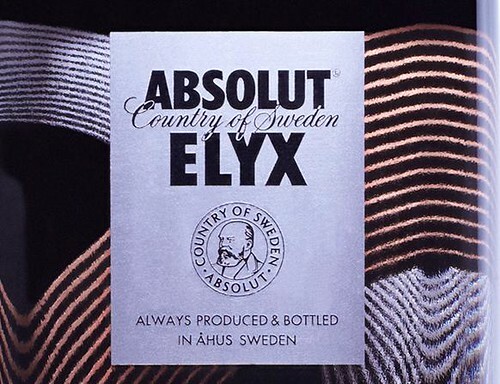 Influx got the chance to interview Jesper Andreasson, a global marketing manager at Absolut, about the idea. What is the idea behind the Bling campaign? In the last couple of decades, the phenomena of “blinging something up”, be it your phone or you car, has spread from a very select few to a whole new global style segment. This holiday season, ABSOLUT VODKA is celebrating the phenomena where “more-is-more” by dressing up its bottles in gold – with a new gift pack. Is “Bling” a word with global meaning? Who are you trying to reach with the campaign- what type of consumer? Our target group are adult men and women who are active and sociable and of legal drinking age. Absolut used to be a brand that was at the cutting edge of art and fashion, is it your intention to get back to that position?